This is in no particular order. Knowing me, I’ve probably missed even my own favourite characters. The more I thought about it, the more difficult it was. Perhaps there will be a part 2! I’d love to meet Wednesday Addams. I don’t know about you, but I have a strange obsession with the Addams family. Their dark, quirky demeanour seems to pique my curiosity. I’d like to meet Wednesday in particular due to the fact that we’re probably close in age. I don’t know about you, but I’ve spent many Saturday evenings, sat at home with a cup of tea, wailing out the tune to the well-loved British television show; Doctor who. I won’t go into the long debate on who I think is the best Doctor. (Well, not on this post anyway.) But the character concept entirely is something I’ve grown to love and enjoy. He is a man not of this world who relentlessly protects and saves humans from aliens, and sometimes from themselves. Out of the fictional characters I’ve discovered, I think Dr who is the most likely to exist. His idea of fun is travelling to planets and fighting off aliens. This would be the perfect de-stress after a hard week at work! *Editors’ note: all attempts to get a picture that included the Jodie Whittaker incarnation were limited by poor images, so please don’t hold this one against us. I, That Guy, am very much looking forward to seeing how she handles the role, and will go into it much the same as I have all the Doctors – lamenting the loss of the last, but optimistic for the future. The main character from the Shadow Hunter series written by Cassandra Clare. (Also made into an American TV series- I’ve only read the chronicles though!) Her life is turned upside down when she discovers something different about her heritage. (It’s so worth the read so I won’t add spoilers.) She goes onto embark on an adventure which has many plot twists and develops her self discovery. I’d like to meet her primarily due to the journey she had been through. The secrets that unravel within the storyline certainly had me gasping a few times. 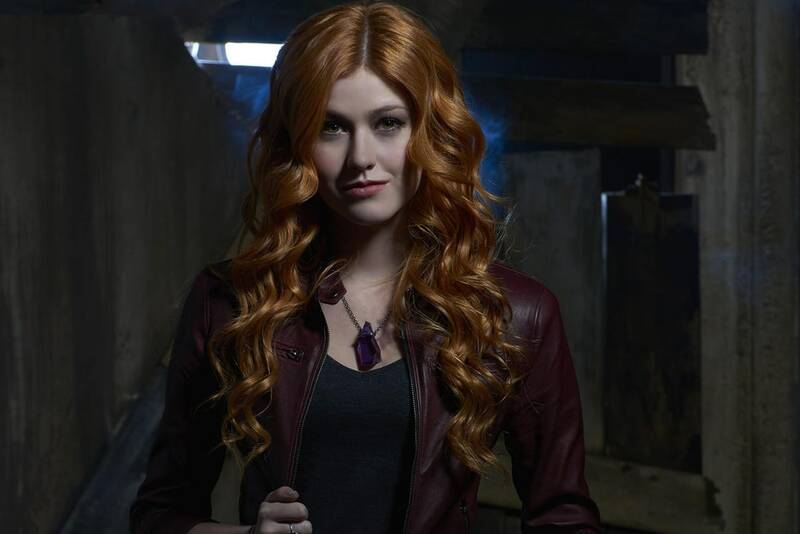 The character development and concept for Clary is certainly memorable. Without revealing too much, I’d love to ask her what it was like using her Steele for the first time. My favourite Harry Potter character. She’s probably my favourite because I feel as though I connect with her. We’re both Ravenclaws and I feel in some respects a kinship with her quirks. Though her way isn’t always favoured the ‘best’ way sometimes it’s the ‘right’ way. She has a different outlook to the world of wizarding and life in general that differentiates her from other students. I feel like I would learn far more on a day with Luna than any of the other characters from the books. The popular, main character from The pirates of Caribbean series. Notably played by Johnny Depp, this character certainly offers prospect for a good time. I imagine captain Jack can be a little bit annoying drunk. But if you can’t beat ‘em, join ‘em. Aye, I’d spend my time with Jack Sparrow drinking rum. I’d be oblivious to what disaster he’s likely to pull me into, and hopefully wiggle us out of! So that was the 5 fictional characters I’d love to meet. Who would you like to meet? Why? Fiction is a wonderful place for us to lose our minds, and after considering it carefully – I wouldn’t want some of the fictional characters that came to my mind to exist. Some of them would be dangerous, some annoying. I’d hate to tarnish the characters I had formed in my mind, especially regarding books.